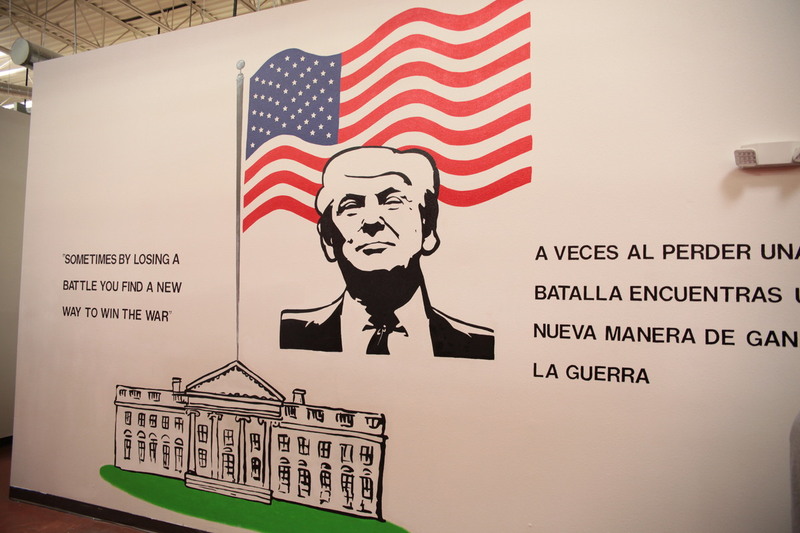 'These Are Not Kids Kept In Cages': Inside A Texas Shelter For Immigrant Youth Casa Padre is a former Walmart Super Center converted into living, recreation and dining quarters for 1,469 immigrant boys ages 10 to 17. 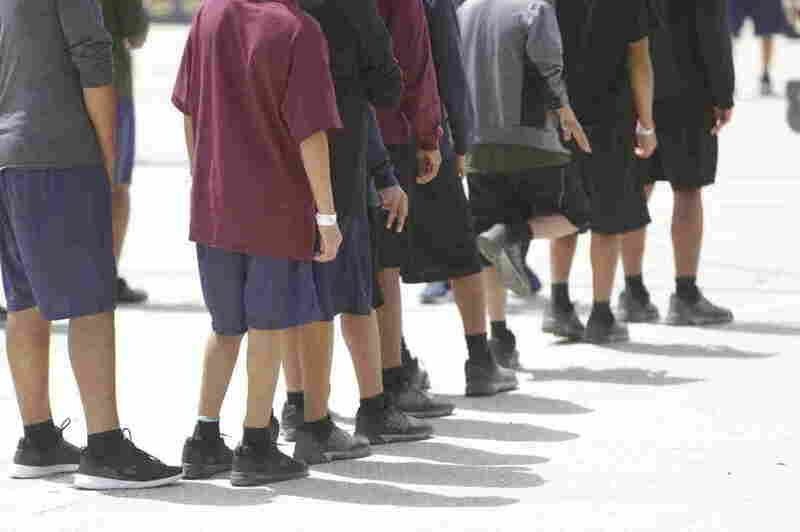 Boys 10 to 17 years old stand outside a government-contracted youth shelter in Brownsville, Texas. Ninety percent of the residents traveled to the United States alone seeking protection; the remainder were separated from their families at the border under a controversial new policy by the Trump administration. This is the largest government-contracted migrant youth shelter in the country: Casa Padre, a former Walmart supercenter converted into living, recreational and dining quarters for nearly 1,500 immigrant boys. Shelter managers took reporters on a tour of the facility in Brownsville, Texas, on Wednesday, amid criticism over the Trump administration's "zero tolerance" policy that has led to separating migrant families who crossed the border illegally. Shelters for minors are now 95 percent full and officials are even considering housing young immigrants temporarily on U.S. military facilities. "We want to show you that these are not kids kept in cages," said Alexia Rodriguez, a spokeswoman for the Texas nonprofit Southwest Key that operates the shelter. "We provide them excellent care." A network of about 100 migrant youth shelters are now 95 percent full. Casa Padre, which houses boys ages 10 to 17, has room for just 28 more children. The federal government is looking for additional places to put the surge of migrants, mostly from Central America, coming across the border seeking asylum. And officials are considering housing young immigrants temporarily at U.S. military facilities. The Trump administration wants to end the "catch and release" of migrants illegally entering the country. Instead of being released until their immigration court date, migrants are being detained, and the government has been separating families while parents are prosecuted. Casa Padre officials say "the great majority" of young residents who are there traveled alone to the United States seeking protection; the remainder were separated from their families at the border. More than 10,000 migrant youngsters are being held at shelters like this throughout the country. On Wednesday, reporters were allowed a rare glimpse inside Casa Padre, a 250,000-square-foot facility located on the outskirts of Brownsville across from a pizza joint and a McDonald's. The boys confined there waved, smiled and said "hola" to the group of visiting journalists; reporters were forbidden to interview the children or staffers. The ratio is one adult counselor to eight children, to keep them in line and to watch for behavioral and emotional problems. 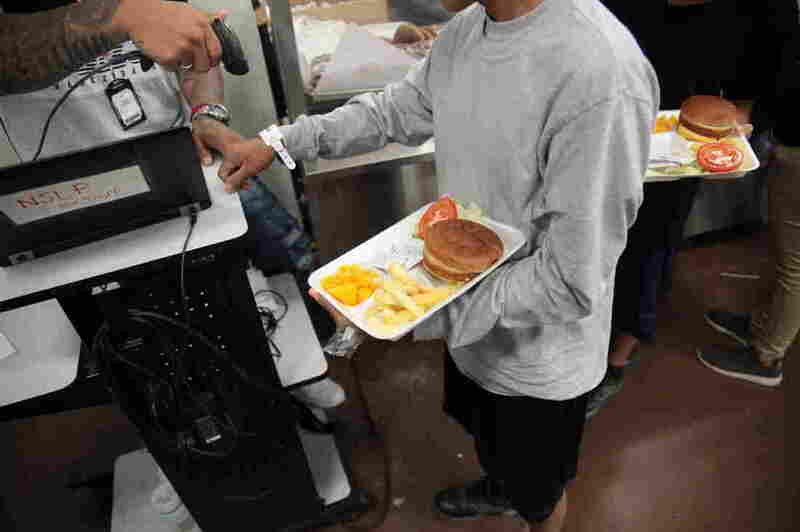 During the carefully scripted visit, the boys were shooting baskets, kicking soccer balls, playing video games, watching a movie, sitting in classrooms where they were taught about the U.S. government, learning tai chi and chowing down on a meal of chicken and mixed vegetables. They are kept inside most of the day. On the walls of the facility are murals of and quotations from U.S. presidents, including James Madison, Abraham Lincoln and John F. Kennedy, and lots of Pokémon posters. The sprawling shelter was opened in March 2017. The kids spend an average of 49 days in Casa Padre, which is contracted by the Department of Health and Human Services and the Office of Refugee Resettlement. Then they're turned over to sponsors, such as family members or foster families. "Our goal is to reunite kids with their families," Rodriguez said. Presidential murals line the walls of Casa Padre. Along with President Trump, others depicted include Abraham Lincoln, Dwight Eisenhower and John F. Kennedy. 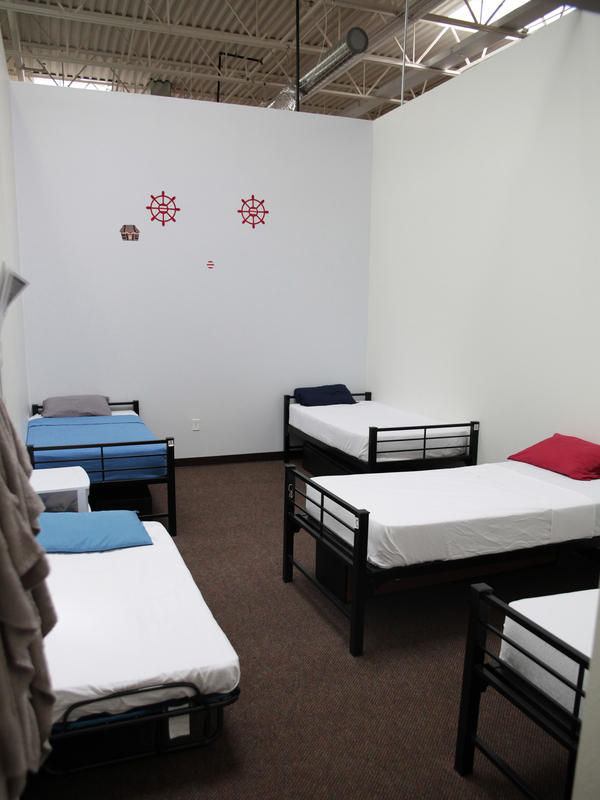 But immigrant advocates fear these children may end up staying longer in shelters like this one. That's because the federal government has begun fingerprinting family members who want to take in these children, and sharing that information with the Department of Homeland Security. The advocates fear this will make the relatives less willing to step forward. Juan Sanchez, the founder and CEO of Southwest Key, said there are occasional runaways from Casa Padre. "It's to be expected," said Sanchez, whose company bio says he grew up in one of the poorest neighborhoods in Brownsville, Texas, on the border with Mexico. Southwest Key runs more than two dozen shelters for migrant children. Sanchez declined to say whether Casa Padre has housed any members of MS-13, the violent Central American street gang. The Trump administration has warned that MS-13 gang members are coming across the border to make mayhem in the United States. Sanchez said any violent youths are sent back to the Office of Refugee Resettlement for placement elsewhere. Meanwhile, the Trump administration's policy of separating families is facing harsh criticism from members of Congress, religious leaders and pediatricians. House Republicans plan to vote next week on a pair of immigration bills, including one that would end the Trump administration's practice of separating children from their parents at the Southwest border. "We don't want kids to be separated from their parents," said House Speaker Paul Ryan, as quoted by the Associated Press. Another Republican, Sen. James Lankford of Oklahoma, tweeted, "I am asking the White House to keep families together as much as we can." "This is barbaric. This is not what America is. But this is the policy of the Trump administration," House Minority Leader Nancy Pelosi said. The separation of families also has come under criticism from the Southern Baptist Convention and the U.S. Conference of Catholic Bishops as well as the American Academy of Pediatrics. While the policy is debated in Washington, immigrant children will remain detained in facilities like Casa Padre. A previous version of this story incorrectly spelled Pokémon as Pokeman.